In the weeks following the Labyrinth script meetings in San Francisco, Jim had a full schedule. 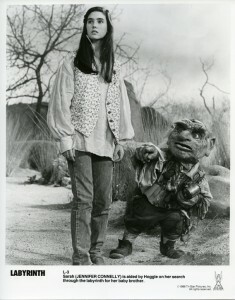 He went to France to promote Fraggle Rock, shot Muppet home videos in New York, had development meetings with people inside and outside the company, shot Sesame Street inserts, gave a lecture at the Academy of Motion Picture Arts and Sciences in Los Angeles, and flew to London to start tests for Labyrinth. The script was still in development and the humans had not yet been cast, but the puppet builders and Brian Froud were hard at work creating the characters that would populate the film. 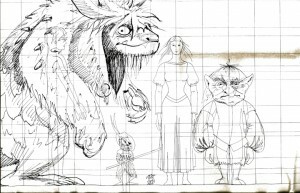 According to Connie Peterson, manager of the workshop in London, the purpose of these particular tests were to determine the sizes of Ludo, Hoggle and Sir Didymus in relation to the humans. The builders made rough mock-ups of the three characters and took them to EMI Studios where they shot them alongside people. With the sizes established, the shop could start work on the actual puppets that would appear on screen. And Jim, after more travels taking him from London to Moscow, New York, Toronto, California, and Vienna, started the casting process for the central human character Sarah. 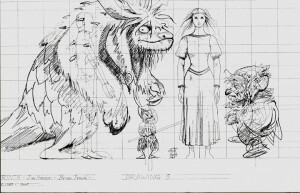 Footage from an October 18, 1984 film test to decide the relative sizes of the characters in Jim Henson’s Labyrinth. 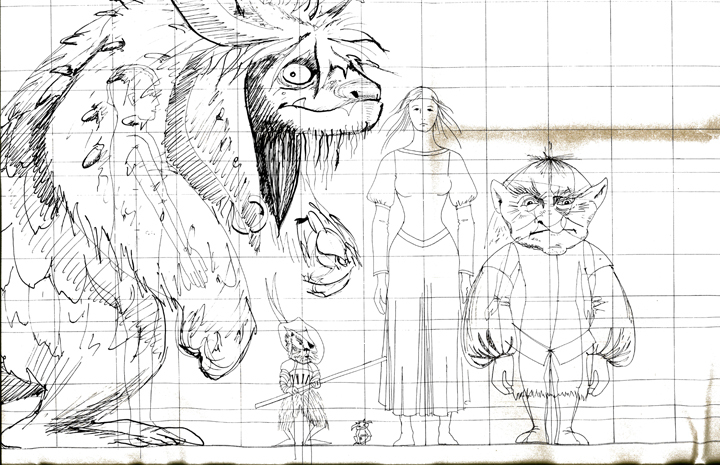 One of two concepts for the relative sizes of Ludo, Hoggle, Sir Didymus and Sarah as drawn by animatronic designer Sherry Amott in July of 1983. 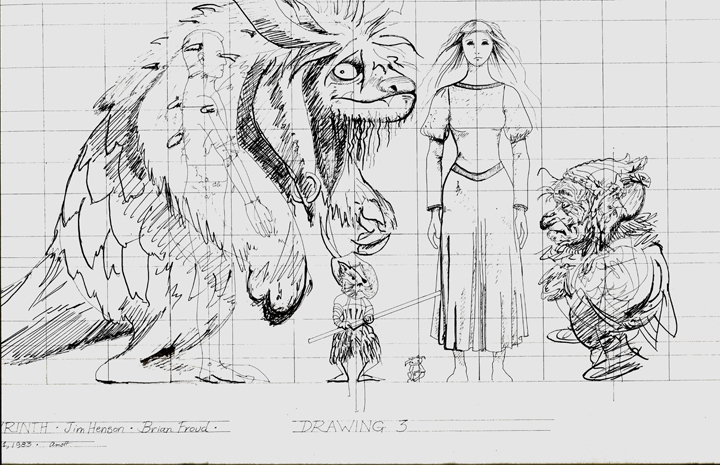 Two concepts for the relative sizes of Ludo, Hoggle, Sir Didymus and Sarah as drawn by animatronic designer Sherry Amott in July of 1983. 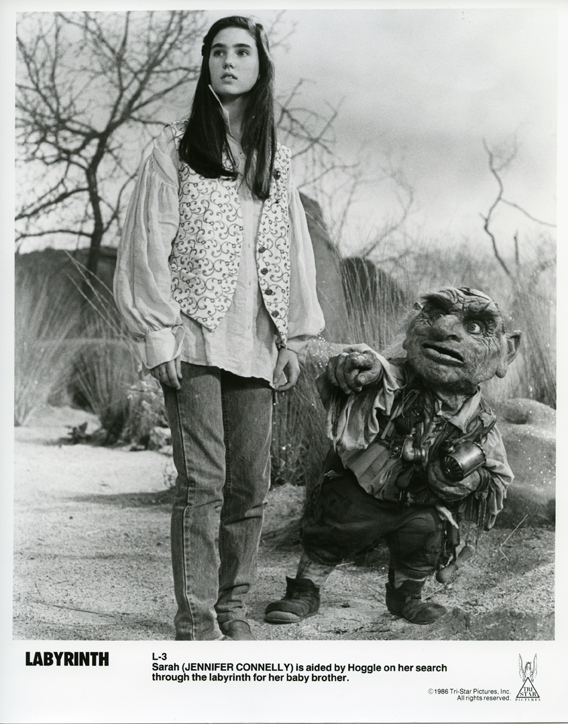 Sarah (played by Jennifer Connelly) and Hoggle in a publicity still from Labyrinth, 1986. This entry was posted in 10-October '84, 1984, Labyrinth, Productions and tagged Creature Shop, EMI Studios, Froud, Hoggle, London, Ludo, Peterson, Sir Didymus. Bookmark the permalink.